There is an abundance of tools that help you find contact information of your prospects on LinkedIn. But, not all of them are safe, and not all of them actually work. Still, we tested a few ourselves and compiled this list of 5 handy LinkedIn tools. The logic of LinkedIn is that it will not let you see anyone’s email address unless you are connected or if that person does not state that email address on their profile. It’s the limitation providing LinkedIn with the biggest chunk of its revenue. InMails and LinkedIn messaging are great for one-time reach or a special campaign where you do not need to keep track of the negotiation process. As the demand for leads and contact details is very high, especially in last 5 years, a bunch of different tools, especially Google Chrome plugins were created in order to let you gather someone’s contact details. In most of the cases, these tools are using a simple “guessing” technique and they are not officially supported by LinkedIn. You should be careful and read the agreement on these tools before hitting yes as they can use your contact details in different ways. We all remember the story of Sell Hack a couple of years back. Getting someone’s email is not so difficult but it can be time-consuming as you need to establish a process and make sure email addresses you are gathering or guessing are at least 90% accurate. A handy solution is to install some of the following Chrome extensions as they can save you time and be used as a part of an email verification process. Here are a few we tested – in no particular order. PROS – Email Hunter is a cool plugin that lets you see and “extract” emails from any website but it also lets you see an email on anyone’s LinkedIn profile stating the percentage of the email reliability. It’s simple to use, and you can export the gathered data. As a separate step, Email Hunter lets you verify an email address or a list of email addresses you already possess. 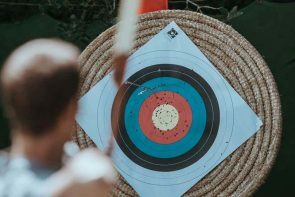 CONS – The big downside is that out of 100 emails it “pooled” from LinkedIn profiles, only 34 were correct even when the tool stated percentage of reliability over 90%. It also pulls all kind of email addresses from a website, quickly capping your monthly free credit. There is no CRM integration so you need to add data manually and get it ready for importing. The bottom line is – it can be good for periodical website email scraping but it’s not reliable enough for anything else. MailHunter lets you search for 150 emails per month, if you need more, you can choose a suitable package. FDL is another extension with a great idea but very low results. We found that only 30% of the emails gathered from LinkedIn are correct (my email you can see in the picture isn’t among the 30%). PROS – the solution lets you guess and possibly verify the email address based on a person’s name, last name and a company domain. FDL has a pretty user-friendly dashboard with a bunch of different functions – email permutation, email verification, Whois lookup, gathering email contacts from your Twitter followers’ base, bulk data storing, editing and CRM integration. CONS – every element of email verification process has to be performed separately. Domains needed for email generation are entered manually. The free version is very limited, so limited that we couldn’t test every element of the product with accuracy. It eats up your credit even if the email address isn’t correct. For the basic subscription of 15$ per month it lets one user do 50 daily searches. The process isn’t streamlined and efficient enough but it can still be handy in a few scenarios – one of them NOT being LinkedIn based lookup. A tool with a similar idea as FDL when it comes to LinkedIn based email lookup. It does integrate with a few CRMs and other data lookup tools and lead list building tools. As with the previous plugins, the biggest question mark is still at the email verification. Even though it states the percentage of email accuracy, the percentage you see on the screen just isn’t true. Last time we looked, it was free for 10 searches per day, per user. The product is obviously in its early stage so we recommend checking in later. An official LinkedIn tool that will not help you find an email address but it can help validate it once you have it. It could be useful in combination with the above mentioned tools. 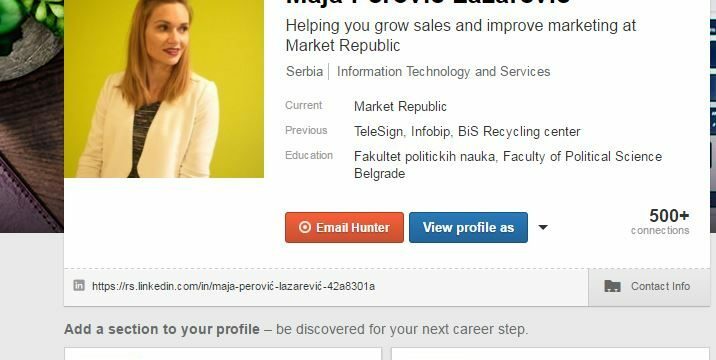 If you already have someone’s email address, you just need to place it in Gmail, hover your mouse pointer over it and Rapportive automatically reveals that persons LinkedIn profile – if the email is accurate. LinkedIn does not allow you to see someone’s email address unless it’s listed in its contact details. The way Rapportive works goes hand in hand with this strict LinkedIn rule as it works the other way around. We found that if Rapportive connects an email with someone’s LinkedIn profile in 95% of cases it is correct. The 5% goes to the emails still connected with someone’s LinkedIn profile but not in use as the person recently left the company and haven’t updated the profile data. Sometimes, people leave their contact details out in the open as they want to stay in touch with a potential prospect. That’s not the case with employees of large companies and corporations but this simple search can come super handy. You do not have to be connected to the person to perform the search. Just go to someone’s profile, press CTRL+F and type in @, hit Enter. The email addresses you’ll find usually do not have the right format as they’re missing a letter, or have a comma. This is because people want to protect themselves from web scrapers and spam messages. Be smart and figure out the right email address, it shouldn’t be complicated. Whatever is the tool you are or will be using for email guessing and verification, one simple plugin will not cut it. Our clients often come to us in order to streamline their lead gen efforts, lead the entire process in order to improve accuracy, lower the cost and scale it up fast. Of course, you can do a part of it on your own, but make sure you are not wasting most of your time on prospecting and email hunting instead of selling. 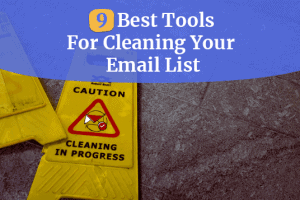 Keeping your email lists clean is of utmost importance. Luckily, there are tools and data appending agencies which can help you check if the emails on your contact list will go to the right person. 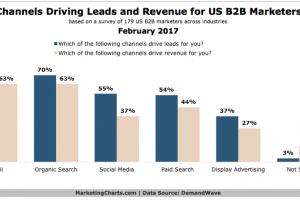 Aligning sales and marketing departments, if you haven’t heard by now, is the most effective way to maximize your ROI. There are many tactics for aligning these two, but one of the most fruitful ones is doing it through Google Adwords. Learn more.